At ConocoPhillips we safely transport oil and natural gas using pipelines, tankers, trucks and rail to connect energy supply to demand. The method we choose depends on the project, location, economics, accessibility and environmental considerations. All four methods are proven, efficient and economical ways of getting energy to market. In Alaska, tankers and pipelines are our primary transportation methods. On the North slope we have a complex system of pipelines that safely move oil from the wellhead, to processing facilities and then into the Trans-Alaska Pipeline system all the way to Valdez. 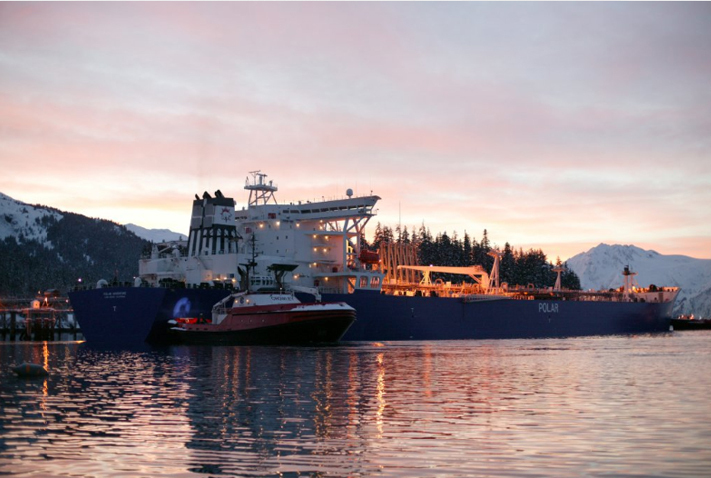 Once the North Slope crude reaches Valdez, tanker vessels owned and operated by Polar Tankers Inc., a wholly owned ConocoPhillips subsidiary, safely transport the oil from Alaska to market.